Maxwell: I love a good game. But there are rules, you know. For instance, you need to let the ball get at least 3 steps away before you can begin the chase. And then you dash after it! But you must catch it before it hits the bottom of the stairs. 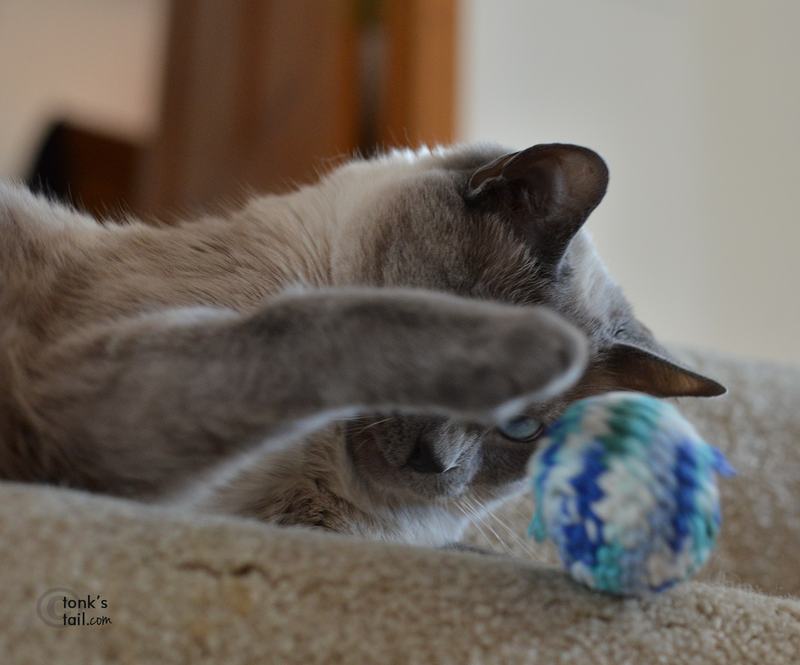 One important rule: be sure you carefully inspect all your catnip balls prior to play, to ensure there's enough nip for the game. Yeahhhhh. Score one for the Maxter. #WINNING. Good job. It pays to follow the rules!! Truffles is jealous because our house is only one story...she wants to play ball on a staircase! We like to play that game too! It's a good one. Have fun, Maxxy! What a great game! 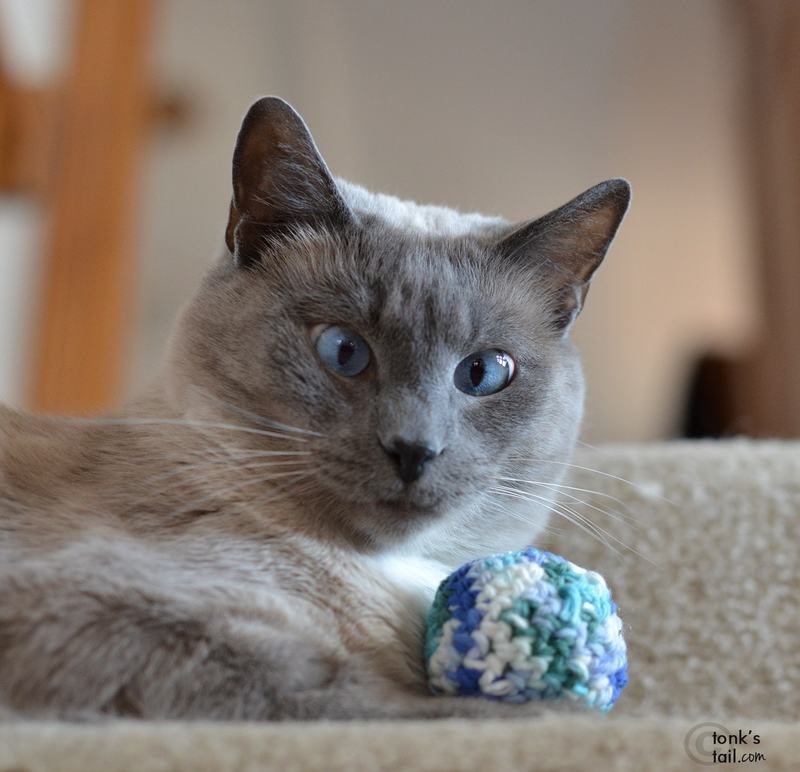 Mes loves to plays games like that with my catnip balls! And Maxwell, in my books, yous is always a winner! Well done Maxwell!! Well done! Heaven forbid there not be enough 'nip! 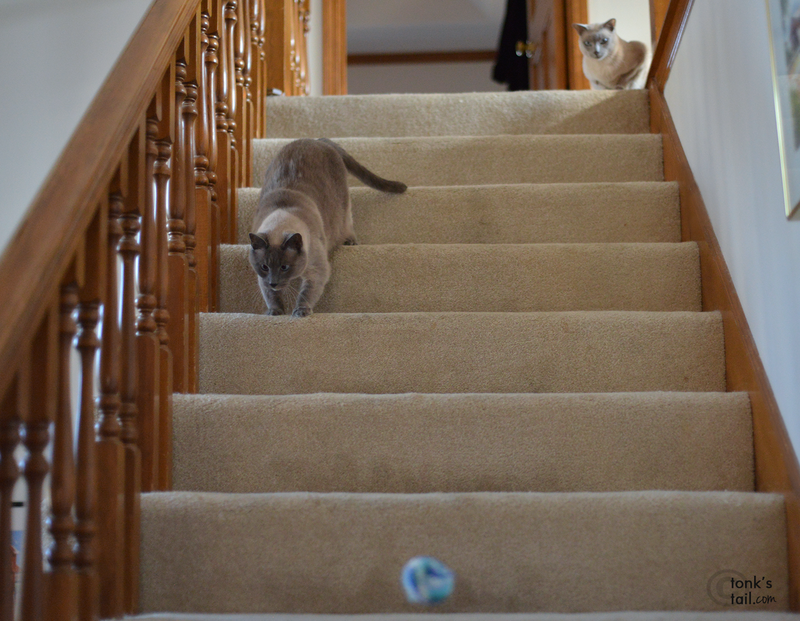 Stairball used to be one of my fave things....and YES, beating it to the bottom of the stair as it hops down is THE BEST. These days I just watch it roll down and AFTER I take a nap I'll go get it and bring it back to the top. For the next time I'm in the mood......WELL DONE MAXWELL!!!!! That looks like a very fun game Maxwell. I wish I had stairs to play on. Now that looks like a fun game! 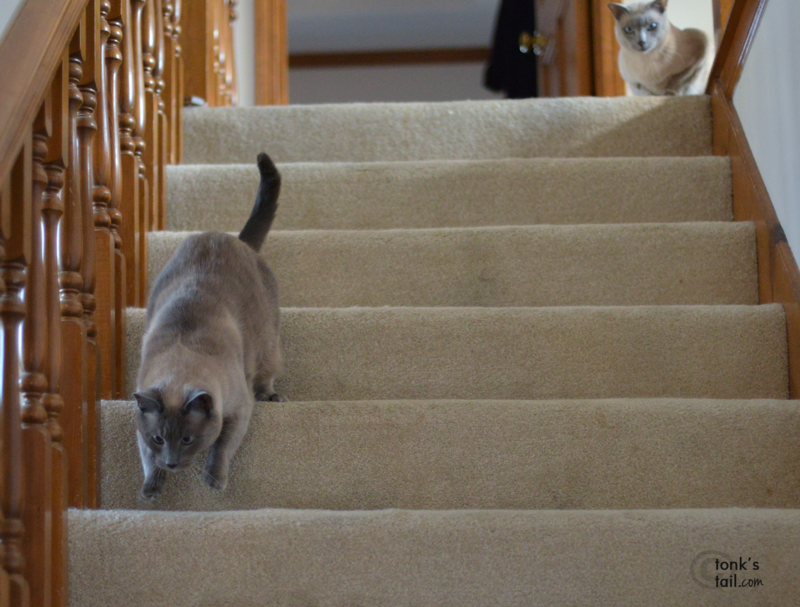 We don't have stairs to play on, but they sure look like fun. Glad to know ya ain't Bradying those catnip balls. Are the rules any different when there is a circular staircase - like ours? You're really good at that game, Maxwell. Does the 3-steps rool apply to non-carpeted stairs? Wood is slippery!